This week in Conservation Corner we are going to touch on windbreaks. This is the right time of year to be planning one and this article may provide some insight for you to make an educated decision about what kind of windbreak will work best for you in your situation. 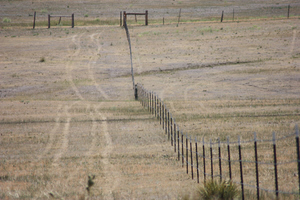 Windbreaks are plantings of single or multiple rows of trees or shrubs that protect crops, livestock, wildlife or people from wind’s harmful consequences. Historically, windbreaks were planted for a single purpose, such as protecting homes from cold winds or soil from erosive winds. Today, windbreaks are being used to address numerous other issues and provide a variety of benefits. When properly designed, located and managed windbreaks produce multiple environmental and economic benefits. It is important to remember that not all potential benefits can be realized from every windbreak. A few benefits of windbreaks are to improve income, provide protection and enhance aesthetics. Whether a grain, vegetable or hay crop, net yields can be increased by 10 to 20 percent in fields with windbreaks. Livestock experience improved weight gains with lower feed costs. Heating and cooling costs can also be reduced. 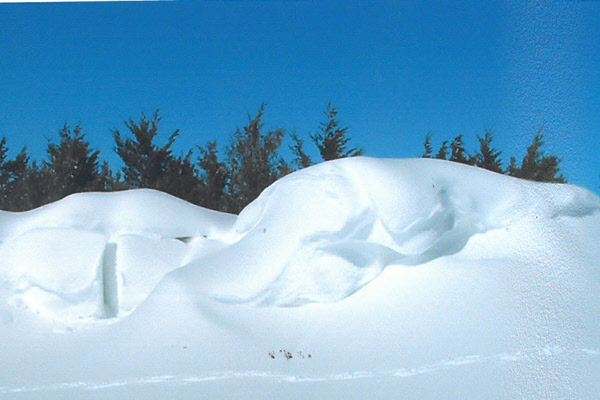 Living snow fences can be an effective way to control blowing and drifting snow, reduce snow removal costs and accidents. Windbreaks generally add desirable plant variety enhancing the appearances. Windbreaks also screen undesirable views and provide opportunities for protecting and helping sustain wildlife. Windbreak considerations include density, orientation, and height and length. The more solid or dense a windbreak, the greater the wind speed reduction. However, less dense plantings provide protection to a greater distance. Density can be managed by the type of tree chosen, the spacing within and between rows, and the number of rows. Windbreaks are most effective when oriented at right angles to troublesome winds. To allow for changes in wind direction, windbreaks are often planted in multiple directions — in an L-shape or an arc. Avoid placement that may interfere with overhead lines, septic systems, buried cable and road visibility. The height determines how far downwind protection will reach. For adequate protection the windbreak must be taller than what is being protected. The length helps determine the total area to be protected. Final selection of the species of trees and shrubs will vary at each facility and farm site and should be based on: soil type, natural drainage, common wind conditions, annual precipitation, and natural range of each species and site needs.